EDA has been striving to provide customes with good quality products but at lower cost since its foundation and devoting to innovation in the curtain accessories line. as a modern enterprise, what we did is not only for pursueing profit but also for social responsibility and enviroment protection. 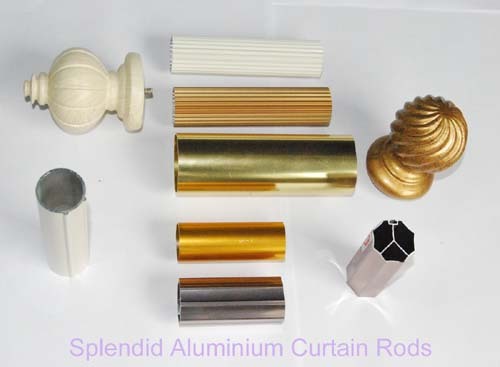 curtain rods industry like many other line also creates lot of waste water and heavy metals every year due to the electric plating, many people around the plating area died from Cancer and other incurable disease. In 2013, EDA will launch a new technical production line for curtain rods surface treatment, our new technicals with no plating and no oxdization thus no pollution. **Diversified colors and patterns available or to be available. we can do all of plating colors and painted colors such as gold, chrome, zinc, nickle and antique series colors. what's more, we can do wood grain and any other colors by customzied or personalized. **Cost is about 80% of traditional plating colors. **Excellent adhesion power, color will not fade within 5 years. New technical color "Antique Brass" compared to metal tubes plating color. See how serious some of plating factories damage the enviroment.